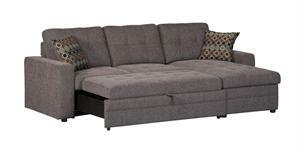 This small sectional sofa is an ideal item for homes that seek a casual atmosphere with a contemporary edge. 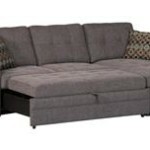 This three seat sectional features a chaise on the right side so you can place your feet up and relax. 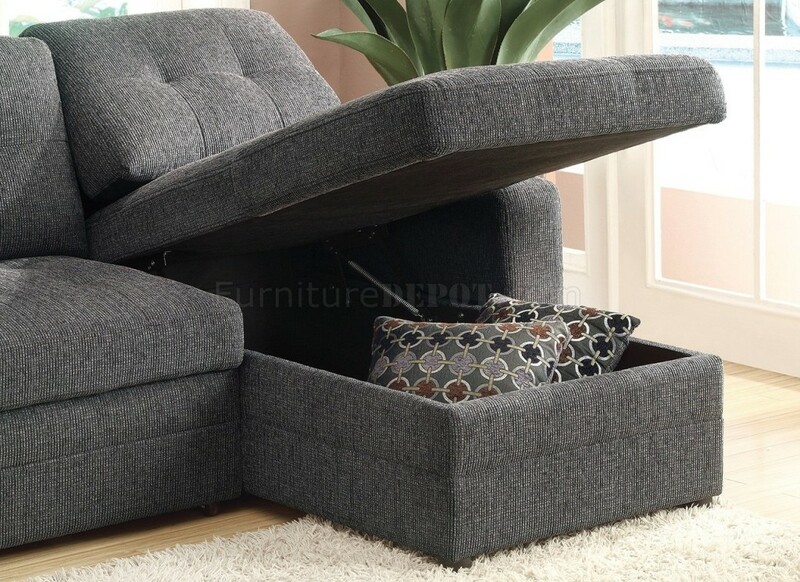 It also includes a sleeper component, allowing this sectional to transform into a bed. 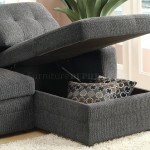 As an added bonus, inside the chaise is a storage space that makes a convenient place to keep linens or other item. The stylistic details include tuffted seat backs and track arms with small, minimalist feet. A multi functional and versatile piece of furniture.